Reason number 1 to choose a poached egg for Breakfast: I like fried foods so I like to save the oil for when it adds flavor. 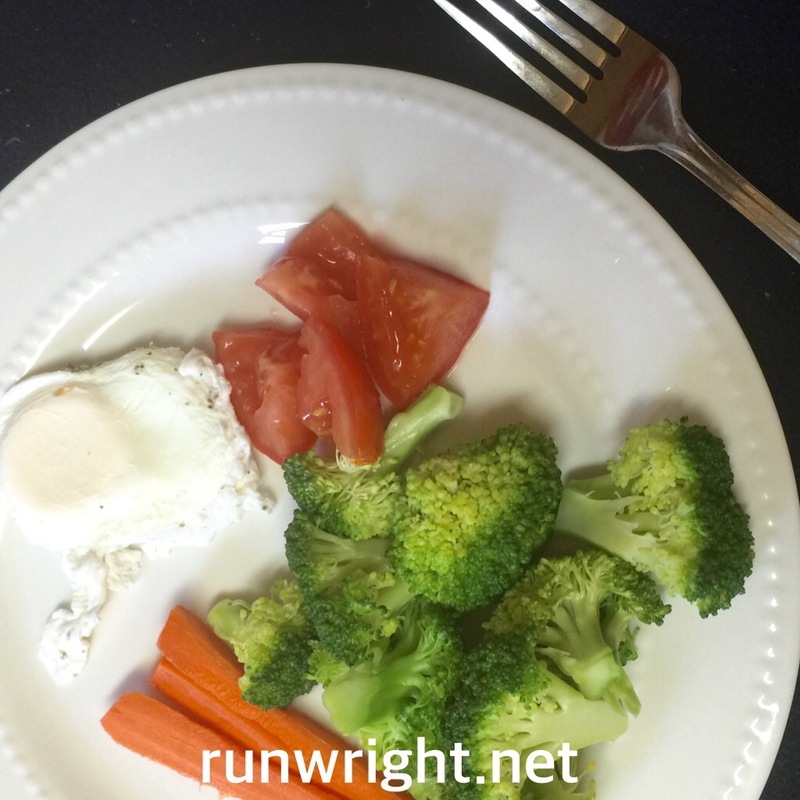 Eating a poached egg doesn’t taste much different than a fried or scrambled egg but it’s a lot healthier. 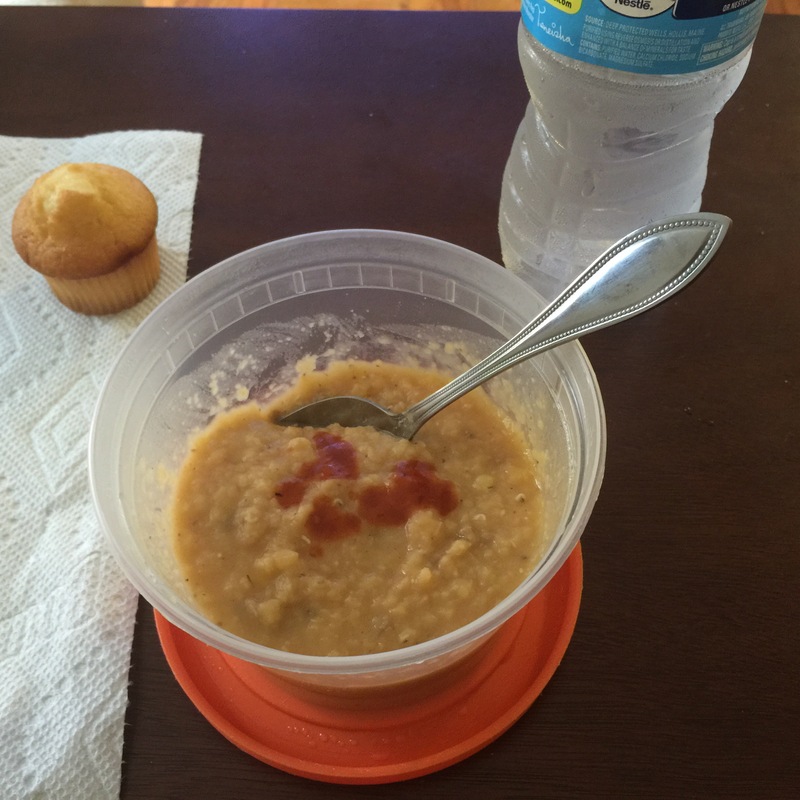 Lunch: A deli container of leftover lentil soup with a mini cornbread packed a high-protein punch. Mid Afternoon Treat: Light popcorn with a little chocolate sauce drizzled over it was a reward after my evening run. It’s not really refueling but it satisfied the craving and it was the yummiest thing I ate all day. Decadence! 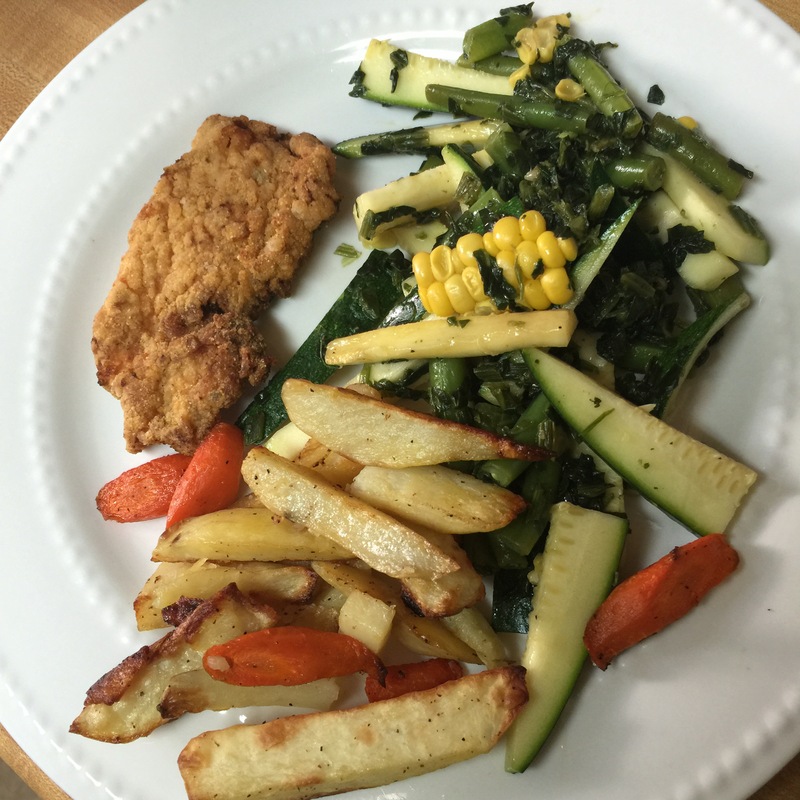 Dinner: Veggie overload to round out my day of eats. That popcorn sounds so good! I know I need a little treat like that each day, it’s just enough of a splurge and it keeps me from eating all the bad foods! 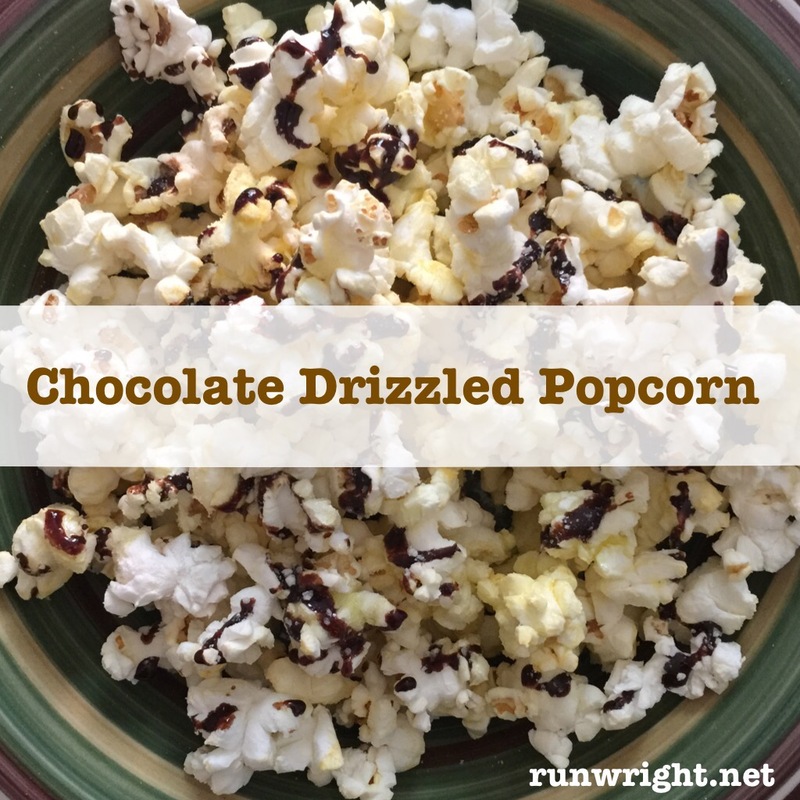 It was light popcorn and the light drizzle of chocolate sauce was sweet, salty, crunchy without blowing the sugar or calorie budget. And it’s filling. Win, win, win! I think I would totally love that popcorn since kettle corn is my fave. I like the sweet and salt mix! Yes! Sweet and salt are meant to be eaten together, I think.